The Feast Dinner Theatre's Christmas is not only meant to entertain, but also to pay tribute to veterans and those who serve in the military. The delicate balance of putting on a musical comedy about soldiers serving in the war wasn't lost on Don Groom. 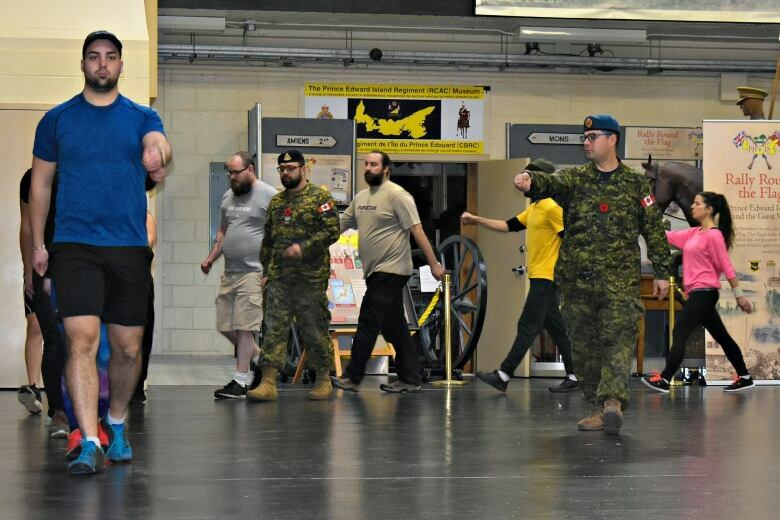 That's why Groom, the owner of Feast Dinner Theatre, had the actors go through a "boot camp" at Queen Charlotte Armoury while rehearsing for the upcoming show Twas the Night: Christmas in Kandahar. "They need to understand what it feels like to be going to a war zone, because it's dangerous and things are different," he said. It's also why they enlisted the help of former military officers like retired Lt.-Col. Dennis Hopping, making sure they are respectful to veterans, many of whom will be in the audience when the show opens in mid-November. "I mean, we're doing musical comedy," Groom said. "Afghanistan and Iraq is a place where people are getting injured, killed, and coming home with PTSD." Writer Sherri-Lee Pike said the script has "a lot of heart." "It's hard for it not to when … you're talking about people at Christmastime not being at home with their family and their families not being with them." But she said it wasn't as difficult to write as some might imagine. "With everything with life there is sadness and there is happiness. And so honestly it wasn't that challenging. There are lots of stories of people in that situation all the time that you hear." The show comes on the 100th anniversary of the end of the First World War, and during the 40th year of the Feast Dinner Theatre. It'll feature war tunes as well as Christmas music mixed in with the comedy. Groom, who has a son and son-in-law in the military, said it's not unlike the comedians who would go overseas to entertain the troops. 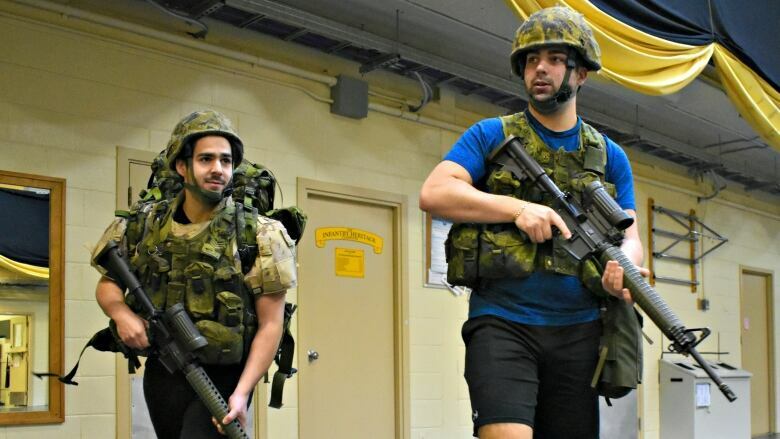 "It's meant to be a fun night and as these entertainers from the Maritimes or Canada went to the war zones over the years, their job was to put a smile on people's faces so they can forget about what's going on in real life out there." Twas the Night: Christmas in Kandahar opens at the Brothers Two in Summerside on Nov. 16, at the Rodd Charlottetown Hotel on Nov. 23 and in Miramichi, N.B., on Nov. 28.